End of conversation. But hardly the end of the story. As it turned out, coincident with the young Bulgarian’s arrival, the structuralist wave was cresting in Paris. Within a few months France would be awash in innovative approaches to the study of literature—approaches that, according to the Sorbonne’s dean, “didn’t exist.” The following year Roland Barthes published Elements of Semiology, which would set the tone for nearly a decade of “scientific” approaches to criticism—paradigms inspired by the burgeoning field of structural linguistics. As a method, structuralism scorned the manifest meaning of texts—a petit-bourgeois prejudice, in any event—as “doxa,” or of merely exoteric significance, in favor of the formal and invariant preconditions of meaning subtending them. Lacan’s Écrits, which applied structuralist methods to psychoanalytic theory—“the unconscious is structured like a language,” he proclaimed-appeared in 1966. The same year Foucault published The Order of Things, a forbidding work that sold unexpectedly well. Structuralism’s success as an analytic paradigm was established. Poetics is a reflection on the virtual properties of literature, on the discursive categories from which works are made. It thus becomes the laboratory where one forges the instruments to analyze one aspect of texts, the properly linguistic aspect. Thus in a poem one finds at work a series of verbal, phonetic, and rhythmic traits.... The sequence of variations obeys schemas that one finds from one work to the next. In order to better understand a work, one needs to become aware of this subtle architectonic: this was the hypothesis that guided me at the time. In Todorov’s view, the formalist method offered prospects of interpretive rigor and scientific exactitude that more informal humanistic approaches to interpretation were unable to provide. Like the structuralists, the Russian formalists regarded linguistics as the potential cornerstone of the human sciences—a prospective Master Science. One reason that Théorie de la littérature proved so influential was that it served to link contemporary French structuralism—which many on the Left regarded as profoundly apolitical, if not outright conservative—with a group of radical political precursors. As a result of their alliance with left-wing futurists such as Vladimir Mayakovsky and Velimir Khlebnikov, the formalists came to view a revolution in “signifying practice” as the key to revolutionizing life in all its aspects. From their point of view, language was everything. “Life” and “signification” were essentially synonymous. The avant-garde structuralists associated with Tel Quel—Barthes, Jacques Derrida, Foucault, Philippe Sollers, and Julia Kristeva—would readily embrace this program and enthusiastically purvey it. One of the ironies here is that Todorov’s passion for literature and poetics, which he cultivated during his student years in Sofia, developed in visceral opposition to the total politicization of intellectual life under Bulgaria’s draconian communist dictatorship. As he recounted in an interview in 2001: “The focus of my interests was literature. I became a linguist by force of circumstance insofar as it allowed me to escape the ideological vise. The closer my approach was to the exact sciences, the more I was protected.... When I succeeded in classifying texts according to grammatical categories, I thought I had succeeded in outwitting ‘them’—the authorities, the omnipresent overseers—and thereby in circumventing political censorship.” Instead of becoming diehard anti-communists, Todorov and his comrades became resolutely apolitical. The indifference to politics seemed like the ultimate liberation. But Todorov had political views, and they were considerably at odds with those of his left-leaning structuralist confrères. In those days the French intellectual universe was emphatically left-wing, as French intellectuals, in the grip of tiers-mondisme, issued repeated summonses to world revolution. In 1972, Sartre went so far as to claim that the French Revolution had foundered insofar as, during the pivotal year of 1793-1794, the Jacobin leaders failed to kill enough people. “A revolutionary regime must get rid of a certain number of individuals who threaten it,” he instructed, “and I don’t see any other means than death. 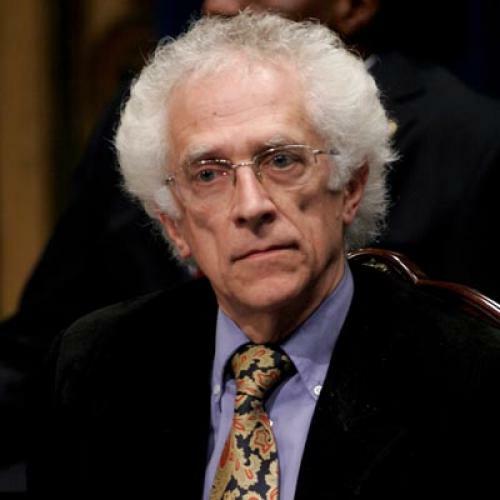 One can always escape from prison.” But Todorov had experienced first-hand the wholesale stultification of cultural life under conditions of “really existing socialism,” and so he regarded his French colleagues’ views with a mixture of dismay and incomprehension. They were worshipping a left-wing Moloch, despite all of the facts that had come to light attesting to Marxism’s dystopian reality. Ultimately, the structuralist focus on the self-referential properties of texts was undone by its own insularity. The ne plus ultra of this trend seemed to be Derrida’s bald assertion that “there is nothing outside the text.” But the world was obviously much more than a staging ground for “signifying practices” and convoluted theories of textuality. With what right could one reduce complex emotions such as compassion, love, and fear, not to mention natural disasters or political upheavals, to a series of prior and invariable semiological constants? Todorov became increasingly frustrated with structuralism’s smug pantextualism. The events of May 1968 proved to be a watershed. Structuralism had long proclaimed that “events” were obsolete. Instead it was the longue durée—the invariants of geography, climate, and demography—that really counted. Everything else was epiphenomenal, the flotsam and jetsam of history’s surface. But the political tumult of the 1960s increasingly rendered such claims untenable. However one chose to evaluate them, the 1960s was a decade of “events.” Politics had become unfrozen. History went into overdrive. The change affected Todorov’s work in several respects. For one, he realized that literary formalism’s stress on the autotelic or self-referential character of texts had effectively abrogated all relations to the outside world. In Todorov’s native Bulgaria, where the public sphere in its entirety was ideologically contaminated, this act of withdrawal had been an indispensable strategy for survival. In the political context of post-1960s France, where the constraints on freedom of expression were relatively few, it made little sense, and needlessly hobbled the scope of critique. For Todorov, another push in the direction of worldliness came from an encounter at Oxford in 1972 with Isaiah Berlin. In Duties and Delights, Todorov describes Berlin as a “raconteur extraordinaire.... He filled my glass nonstop with vodka, while he remained sober.” Although the topics of discussion ranged from Anna Akhmatova and Boris Pasternak to modern painting, it was Berlin’s cosmopolitan mien and his observations on contemporary politics that made the deepest impressions upon the young Bulgarian émigré. Following the meeting with Berlin, he no longer felt justified remaining aloof from political life and public affairs-facets of life that his communist youth had rendered permanently suspect. One manifestation of Todorov’s change in perspective was his newfound enthusiasm for the theories of the Russian literary critic Mikhail Bakhtin. Instead of focusing on structural homologies or archaeological constants, Bakhtin stressed the polyphonic dimension of literary texts: the congeries of voices that incessantly jockeyed for narrative supremacy. In pathbreaking studies of Rabelais and Dostoevsky, Bakhtin demonstrated how literary works communicated with each other over time, a phenomenon which he called “intertextuality.” Thereby, Bakhtin succeeded in introducing a much-needed “diachronic” or historical dimension into literary study. His emphasis on the open-ended, multi-vocal aspects of narrative helped to undermine structuralism’s pretensions to an all-encompassing scientific determinism. One of the chief merits of Bakhtin’s approach was that it succeeded in restoring a crucial measure of freedom to the interpretation of literary works. Authors and characters ceased being, as with structuralism, epiphenomenal manifestations of pre-existing lexical invariants. Instead, via the interpretive innovations of dialogism and polyphony, characters regained a measure of figurative autonomy. As Todorov explained in Mikhail Bakhtin: The Dialogic Principle in 1981, Bakhtin’s singular achievement was to restore a human dimension to literary study. With Bakhtin, “the theory of literature once again exceeds its limits: it is the human being itself that is irreducibly heterogeneous; it is human ‘being’ that exists only in dialogue. Within being one finds the Other.” The encounter with Bakhtin would have a lasting impact on Todorov’s thought. It sharpened his alienation from the arid preoccupations of literary formalism and kindled his turn toward the history of ideas. It precipitated his rejection of structuralist determinism in favor of the values of meaning and individual freedom. A deep concern for “the Other” is one of the enduring themes of Todorov’s rich and multifaceted oeuvre. On numerous occasions he has referred to himself as un homme dépaysé-a stateless person, an apatride. In part this acute sense of otherness or extra-territoriality is a product of his own experiences as an Eastern European who has spent most of his life abroad. It also accounts for his profound identification with Montesquieu, who, in Persian Letters, employs the trope of “innocents abroad” in order to unmask the foibles and idiosyncrasies of ancien régime France. As Todorov explains in Duties and Delights: “By ‘stateless person’ I understand both the separation from the country of origin and the perspective that is new, different, and fresh on the host country ... I experience this condition as a source of enrichment, not of impoverishment.” The same theme—the vulnerability of the Other—also accounts for the “moral” turn Todorov’s thought has taken in recent years, in works such as The Fragility of Goodness and Hope and Memory—studies that are suffused with an acute awareness of human vulnerability in an age of “black sites,” industrialized mass murder, and total war. I was never a direct victim of the regime, since my reaction—like that of many of my compatriots—was not to protest or challenge it, but to take on two distinct personalities: one public and submissive, the other private and independent. And yet in another sense I was a victim ... [for] it was then that I became acquainted with evil. It lay in the glaring disparity between what people in power said and the lives they led and allowed us to lead.... It lay in the obligation to make a public display of one’s adherence to the official doctrines, and in the way these declarations robbed the noblest terms of their meaning: “liberty,” “equality,” and “justice” became words that served to mask repression and favoritism, the flagrant disparities in the way individuals were treated. It lay in the assertion that there was a correct approach to every subject, and one only, and in our awareness that this position was determined by and for those in positions of authority at the time, since truth was now merely an effect of force. It lay in the unlimited and arbitrary power that resided with the police and the national security forces, with party members and other officials who could at any moment deprive you of your job, your house, your friends, or your freedom. Todorov brought these insights to fruition in The Conquest of America: The Question of the Other (1982), a groundbreaking study in cultural history. It is clear that the self-described homme dépaysé identified with the plight of the Aztecs qua “Other,” as they are subjected to the systematic brutality of the conquistadors. He dedicated the book to a nameless Mayan woman who, out of loyalty to her husband, refused to have relations with the Spanish invaders. And she took her own life. The conquistadors tossed her body to the dogs. One of the interpretive master-strokes of The Conquest of America was Todorov’s ability to integrate his earlier training in poetics and literary theory into his new humanistic analysis. He interprets the confrontation between the Spaniards and the Aztecs not merely as a military confrontation but as a cultural and semantic clash as well. Had the conflict been decided by force alone, he observes, the Aztecs, who vastly outnumbered the Spanish, would have won hands down. In Todorov’s view, what turned the tide in the Spaniards’ favor was that they were more adept at the skills of cultural interpretation, at mastering the signifying practices and linguistic codes that could guide them to victory. By listening attentively to the natives’ speech, which contained occasional Spanish words, Cortés adduced that there were Spanish castaways from previous expeditions living among them. He enlisted their services as translators in order to discern and exploit the weaknesses of the various tribes. For the Aztecs, conversely, the Spaniards’ arrival presented a formidable interpretive challenge. None of their sacred texts or oracles had anticipated an event along these lines. The conquistadors’ presence, in other words, proved refractory to the predominant cultural codes, and the Aztec worldview suffered a hermeneutic breakdown. At one point in the conflict, the Aztec chief Montezuma simply refused to receive further messages from his adversaries, since he had no reliable interpretive means at his disposal with which to comprehend them. Todorov’s passage from the dogmas of French theory to the emancipatory precepts of Western liberalism accounts for the humanist direction of his thought during the 1990s. He regards the humanist tradition as a middle way between the extremes of moral universalism—which can be tone-deaf to the demands of local context—and full-blown cultural relativism. For Todorov, humanism entails two fundamental precepts. First, it mandates an understanding of persons as autonomous, self-determining beings—in Todorov’s view, the basis for a meaningful conception of human dignity. As he explains in The Fear of Barbarians, “the idea of autonomy means ... that every human is able to know the world by himself and to influence his own destiny. Just as the people are sovereign within a democracy, the individual can become so ... in the personal sphere; as a result, the very idea of democracy is transformed, since it simultaneously guarantees the sovereignty of the people and the freedom of the individual.” And humanism, in Todorov’s version of it, demands also an appreciation of the fragility of the human condition, along with an awareness of the disasters that have ensued as a result of politically rash attempts to straighten what Kant called the “crooked timber of humanity”—to perfect what is intrinsically imperfectible. Thus, in books such as On Human Diversity and Imperfect Garden: The Legacy of Humanism, Todorov proceeds by staging “dialogic” encounters with his favored humanist interlocutors: Montaigne, Montesquieu, Rousseau, and Benjamin Constant. What he deeply appreciates about Montaigne is his skepticism, his experientialism, his humility, and his aversion to absolutes in judgment and life conduct. A witness to an unprecedentedly brutal epoch of religious strife, Montaigne holds, in an empiricist spirit, that the mere fact that so many different religions exist is proof that none is absolutely true. And a parallel skepticism applies, he contends, to divergent customs and political opinions. All this Montaigne—and Todorov with him—understands as a writ for religious and political tolerance. Since no system of belief possesses unquestioned supremacy, there is no reason to scorn or reject any of them. They are all expressions of the fallible nature of the human. Yet Todorov draws the line with a defense of cultural pluralism that sanctions a full-blown ethical relativism. “In his blind attachment to custom,” he concludes, “not only does Montaigne give up on absolute judgment, he also abandons the unity of the human race.” The humanism that Todorov seeks is more muscular than the mere appreciation of difference. Todorov reads Rousseau, against the grain, as a genuine humanist rather than (as has so often been claimed) as a Gallic precursor of Sturm und Drang. Rousseau merits such an approach, in Todorov’s view, because of his enduring preoccupation with the elements and parameters of human freedom. As Rousseau declared in the Second Discourse, “Nature commands every animal, and the Beast obeys. Man feels the same impetus, but he realizes that he is free to acquiesce or resist.” “Moral freedom alone,” he continues, “makes man truly master of himself.” Todorov regards Rousseau as a genuine advance in the evolution of moral philosophy. Whereas predecessors such as Montaigne and Descartes decreed that freedom must be confined to the sphere of human inwardness as “freedom of thought,” Rousseau insisted that freedom only became meaningful when it was incarnated in the institutions of public life. Rousseau’s critics have argued that his passion for liberty was excessive—that it anticipated Robespierre’s characterization of revolutionary government as the “despotism of liberty.” Todorov points out, in Imperfect Garden, that few thinkers were more keenly aware of human imperfection—of the manifold psychological and empirical obstacles to liberty. As an eyewitness to the follies and perversions of revolutionary dictatorship, Constant possessed a keen sense of the ways in which the excessive demands for liberty could grievously backfire. The bloodbath of the French Revolution demonstrated that an uncritical embrace of popular sovereignty provided no assurances against the encroachments of tyranny. Sometimes Constant’s skepticism could cross over into resignation—a stoical approbation of fate. Yet Constant always believed in the capacity of superior individuals to transcend the constraints of social conformity. As Todorov observes, “Constant is careful to specify that even when historical conditions determine the general movement, they leave a large margin of freedom for individuals.” But for this to occur, the lure of total politics must yield to the “art of separation”: legal guarantees to ensure the prerogatives of private autonomy. Raison d’état must not be permitted to subsume the haven of individual conscience. The obligations of citizenship must not be allowed to trample the rights of man. In Todorov’s humanist pantheon, Montesquieu occupies a special place. Unlike his fellow philosophes, with their interest in absolute truth and social engineering, Montesquieu displayed a distinctly anti-Cartesian appreciation for the infinite diversity of human affairs. Writing during absolutism’s pinnacle, Montesquieu lamented the social leveling that had resulted from a century of political centralization. As the title of his best-known work indicates, he was less interested in the letter of the law than in the “spirit of the laws.” The problem with despotism—governance unchecked by the restraint of law—was that it rode roughshod not only over the laws’ spirit but also over their letter. For decades Todorov avoided commenting on contemporary politics. In part, this avoidance was conditioned by the limitations of his academic training as a literary scholar. But it was also motivated by the realities of cold war politics. Whereas Todorov had made a successful career in France as a scholar and homme de lettres, his family remained trapped in Sofia under the sadistic and watchful eye of one of Eastern Europe’s most petty and repressive communist regimes: during the regime’s early years, Todorov’s father was sacked as director of the National Library owing to purported ideological deviations. But communism’s unexpected collapse changed this situation. Todorov is more interested in the fact that, despite the pervasive dehumanization, individual men and women proved capable of rising up to defy the unspeakable adversity of their circumstances and re-assert the indomitability of the human spirit. He characterizes such humble acts of defiance as “ordinary virtues.” Their practitioners both reaffirm human dignity and contribute to the well-being of others by means of an ethic of “care.” As Todorov explains, “Acts of ordinary virtue are undertaken not on behalf of humanity or the nation but always for the sake of an individual human being.” Todorov’s paragon of ordinary virtue is Pola Lifszyc, a young Polish girl who, in a consummate act of self-sacrifice, voluntarily accompanied her mother on a Nazi death transport to Treblinka so that she would not have to die alone. Conversely, Todorov systematically mistrusts heroism and grandiloquent gestures made in the name of abstract historical ideals—nationalism or some conjectural “radiant utopian future.” Wreathed in self-righteousness, such acts proceed in sovereign disregard of practical consequences, no matter how severe the latter may prove. It is in this spirit that, in Facing the Extreme, Todorov questions the wisdom behind the Warsaw Uprising in 1944. Subsequent testimony indicates that the leaders of the Polish Home Army knew in advance that their efforts were doomed. And the reprisals exacted by the German occupiers were severe: 200,000 innocent Polish civilians were slain and 700,000 deported. One cannot help but wonder about the adequacy of the ethical antithesis that Todorov establishes between ordinary virtue and heroism. Are ordinary virtues really as reliable as Todorov claims? Do they present an adequate basis for moral conduct in extreme situations? Don’t we need at times to rally around the higher ideals that Todorov systematically mistrusts—patriotism, justice, the common weal? The various acts of self-sacrifice that Todorov recounts are unquestionably noble, but they seem to have more in common with an ethics of martyrdom than they do with quotidian morality. How, or why, should we base our moral thinking on so-called boundary or extreme situations? Todorov’s criticism of the Polish Home Army’s rebellion seems warranted, though the same cannot be said of the revolt of the Jews in the Warsaw Ghetto, who were already doomed and were fighting only for a more dignified death. But one can imagine other circumstances where the odds of success were less daunting, and a revolt inspired by principle—love of country or of humanity—would be entirely justifiable. In 1999, Todorov was a vociferous critic of the American-led NATO intervention in Kosovo. Whereas many on the Left viewed the action simplistically as a stalking horse for American imperialism, Todorov’s position, which he restates in The Fear of Barbarians, was more sophisticated. Todorov argued that the bombing campaign against Serbia ended up consolidating a result—enduring ethnic enmity between Albanian Kosovars and Serbs—that it was intended to forestall. The Serbs were punished as aggressors and ethnic cleansers. But when analogous violations were perpetrated by the Kosovo Liberation Army against local Serbs, Europe and the United States tended to look the other way. Burned by the Mogadishu fiasco in 1993, the United States refused to commit ground troops, but modern air wars, insofar as they do an inadequate job of distinguishing between combatants and civilians, inescapably flirt with “war crimes.” Thus on the night of May 7-8, 1999, the Chinese embassy in Belgrade was mistakenly bombed, resulting in three deaths, twenty injuries, and a major diplomatic furor. The paradox at the heart of the NATO campaign, in Todorov’s view, was that one group of innocent civilians (the Serbs) was killed in order to prevent another group of innocent civilians (the Albanian Kosovars) from being killed. In his analysis of the Kosovo intervention, Todorov raises a number of points that were downplayed or omitted in Western discussions of the action. Once one’s opponent is demonized, as were the Serbs in the Yugoslav conflict, the ambiguities and “gray zones” to which Todorov alludes are indeed overlooked. But the flaw in Todorov’s analysis, I think, is that it fails to do justice to the aggressive nature of Milosevic’s tyranny. He and his henchmen were largely responsible for igniting brutal civil wars in Croatia, Bosnia, and Kosovo—the bloodiest conflicts Europe had known since the end of World War II—resulting in some 260,000 deaths. The NATO intervention played an important role in undermining a loathsome and lethal dictatorship. Domestically discredited in the aftermath of the NATO attack, Milosevic was toppled from power in 2000 in a populist insurgency. Two years later, he was brought to trial in The Hague for crimes against humanity and related offenses. Supposing it were possible to eliminate the carriers of evil—what benefit would there be in it if we ourselves have to become evil to do this? ... To bring Christian religion to the Indians, which teaches equality and love of one’s neighbor, the conquistadores subjugated them through war and showed them nothing but hate and contempt. Christian morality’s reputation was not enhanced through this adventure. By relying on brute force rather than opting for the “soft power” of moral and diplomatic suasion, we seem both less safe and further from victory than when we began. The centerpiece of Todorov’s brief Torture and the War on Terror is a scathing indictment of the Bush administration’s rhetorical chicanery in declaring that so-called enhanced interrogation techniques—waterboarding, prolonged exposure to cold, mock executions—are not torture. With the infamous “Torture Memo” of August 1, 2002, a significant moral threshold was crossed. With the stroke of a pen, torture changed from a universally acknowledged violation of human rights to a state-sanctioned technique of gathering intelligence. And since it is well established that torture rarely yields useful information, Todorov labels it a form of “retributive terror”: emotionally gratifying for its perpetrators, but of little practical value. As a moral transgression, however, the question of torture’s legitimacy can never be decided on purely utilitarian grounds. As Todorov shows, torture is inadmissible insofar as it constitutes an attack on the “very idea of humanity. It is the surest indication of the barbaric, of the extreme of human behavior that makes us reject the humanity of the other.” If the legacy of humanism has anything to teach us, it is surely this. The Fear of Barbarians concludes with a postscript that reflects on the adequacy of the Obama administration’s foreign policy. Although he notes progress in certain areas—torture has been prohibited and the condition of detainees has dramatically improved—Todorov finds that, in other significant respects, Obama has disappointingly continued the aggressive policies of his predecessor. Nowhere are these continuities more evident, he says, than in the futilities of the Afghan war, which has been repeatedly characterized by misdirected bombing sorties resulting in the deaths of innocents. Todorov argues plausibly both that the war is a formidable drain on a crisis-ridden American economy and that there exists a yawning chasm between America’s stated intentions—permanently quashing the Al Qaeda threat—and the prospect of realizing them. Al Qaeda has metastasized into a series of regional “franchise” terrorist organizations, such as Al Qaeda in the Arabian Peninsula and Al Qaeda in the Islamic Maghreb. Even if its fighters were eliminated from the mountains of Waziristan, they would re-emerge elsewhere. Since, in Todorov’s estimation, the avowed American goal seems implausible, he is convinced that there must be ulterior motives at work, such as an American desire to save face, and thereby to preserve the global credibility of the American military. But in this case, too, there are more ambiguities involved than Todorov is willing to acknowledge. Although he is correct in observing that the American military presence in the region is fraught with difficulties, an abrupt American withdrawal would be replete with dilemmas of a different sort. It would consign Afghanistan to the tyrannical rule of the Taliban; and there is no sidestepping the fact that the consequences, for Afghan women in particular, would be devastating. Shouldn’t a committed humanist, even a critical humanist, give equal attention to the grim consequences of the course of action that he prefers? In failing to do justice to the other half of the equation—the arguments for staying the course in Afghanistan—Todorov carries his innate skepticism about humanitarian intervention too far. As he acknowledges forthrightly in The Fear of Barbarians, a respect for cultural pluralism and the right to difference must be tempered by credible cosmopolitan moral and legal commitments. Otherwise one risks lapsing into moral relativism and a multicultural free-for-all. Yet such overarching ethical and practical commitments are precisely what the ethos of humanitarian internationalism seeks to provide. But this is a family quarrel among humanists who may in good faith disagree. The decisive step is the rehabilitation of humanism, which Todorov has accomplished in an exemplary manner. Whether one agrees or disagrees with some of his conclusions, there can be no doubt that he has added depth and clarity to some of the most perplexing moral and political questions of our day. Richard Wolin is Distinguished Professor of History and Political Science at the CUNY Graduate Center. He is the author, most recently, of The Wind From the East: French Intellectuals, the Cultural Revolution, and the Legacy of the 1960s (Princeton University Press). This article originally ran in the May 26, 2011, issue of the magazine.